Meet Mohammed Abdullah Alhabshee, Halimah Yacob’s husband and soon to be our First Gentleman. 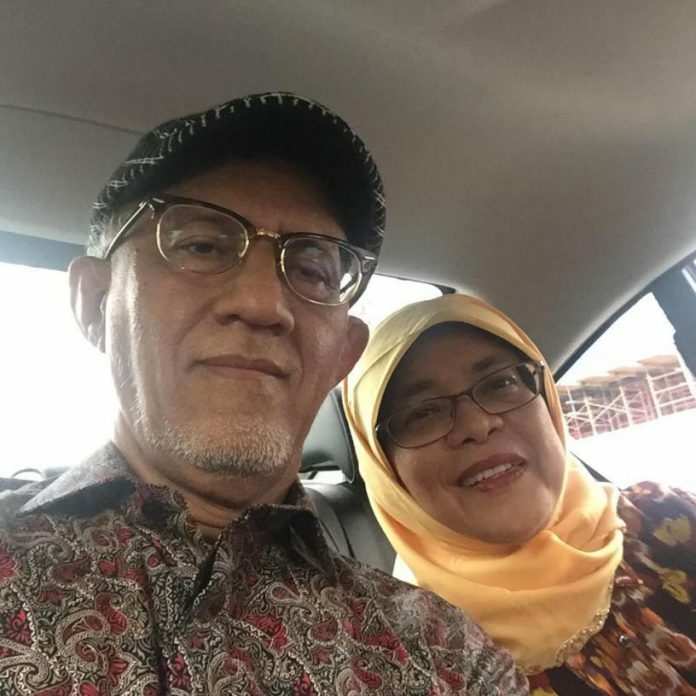 Madam Halimah Yacob is the front runner in the upcoming presidential elections and tracked down to see how this Cinderalla met her prince charming. Mr Mohammed Abdullah Alhabshee graduated with a physics major from the University of Singapore. He was Halimah’s university sweetheart and they got married two years after she graduated. They were hopelessly in love but poor. He never believed in borrowing money just to make their lives better. As a result, the first flat that they moved into was spartan and un-renovated. They started with a rented room where they stayed with relatives. Together with the love of his life by his side, they eventually managed to save up enough to buy a five-room flat in Tampines for $75,000. He never forgot his roots and still lives in a HDB house with Mdm Halimah today. Together they have five children in steady progress. Mr Mohammed Abdullah Alhabshee enforced the importance of communal living and being filial to their children. 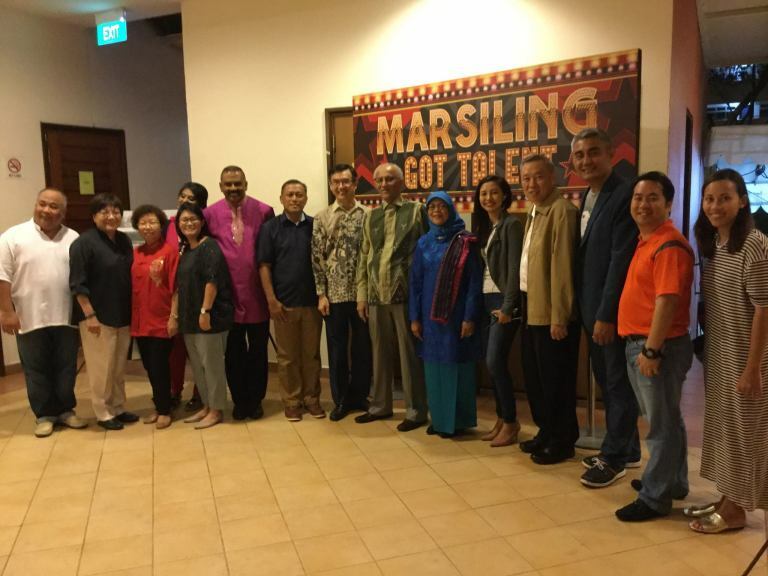 30 years ago, he and Mdm Halimah bought two adjacent five- and four-room flats in Yishun, and knocked down the dividing wall so that the family can be even closer together. In his household, everything is family-sized and common property. The idea of sharing is with high emphasis. He took care of his mother and lived under the same roof until she passed away in 1999. His mother-in-law too lived with them until recently, when she passed away in 2015. Mr Mohammed Abdullah Alhabshee is talented. Well versed in Malay and English, he can also sing well in Tamil! Madam Halimah is a grounded lady. She never solely relies on official feedback channels but keeps her ears to the ground so that she can understand her residents better and offer timely helps. Back in MSF (Ministry of Social and Family Development), she would visit voluntary welfare groups at least twice a week to conduct routine supervision to implement effective policies. Mr Mohamed Abdullah Alhabshee acts as the emotion pillar in her life. He is extremely proud of his wife achievements. He never fails to give her moral support and devote time to accompany her to grassroots events and functions. Mr Mohamed Abdullah Alhabshee symbolizes Singaporean identity and yet takes pride in his own ethnic background. 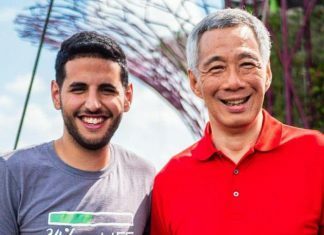 Alhabshee is an Arab family name and Singaporean Arabs have a history that stretches all the way to the island’s modern founding by Stamford Raffles. Even though Arabs are a relatively small community, they have made prominent contributions to the country. The majority of the Arabs in Singapore are Hadhramis tracing their ancestry from the southern part of the Arabian Peninsula called Hadhramaut, which is now part of the Republic of Yemen. Some of the more famous Arab families includes the Aljunied (al-Junayds), the Alsagoff (al-Saqqāf), and the Alkaff (al-Kāf) families.